SCOTTSDALE, Ariz. -- Muhammad Ali's younger brother wept, swayed to hymns and hugged anyone he could reach. He raised his hands to the sky, eyes closed, surrounded by congregants at the church where their father once worshipped. 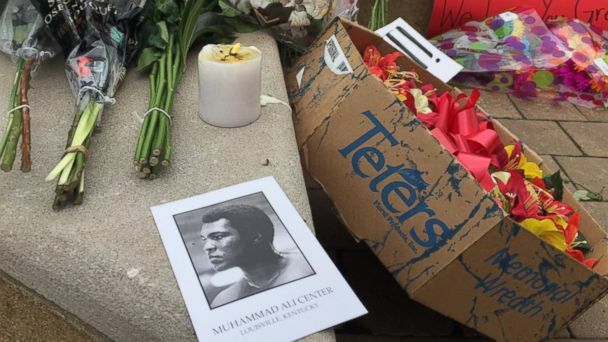 At a Sunday evening memorial at the Louisville Islamic Center, speakers from many faiths - Muslims, Christians, Catholics, Jews - lamented that Ali's death came at a time when political rhetoric is getting more divisive. "When the clamor of the disaffected targets those considered other we need someone to cry out that people are not born other - we make them other, through our fear, through our prejudice, our hatred, our desire to grasp for more than is rightfully ours," said Rev. Derek Penwell, who leads a Christian church in Louisville. "We need a voice who knows that true power is to help us to see that our determination to love in spite of our fear is the greatest expression of power that human beings can muster."